The city of Leeuwarden is a city with an exciting history and a vibrant future. It is the capital city of the province of Friesland, and is located in the northern part of Holland. The city of Leeuwarden was granted its city charter in 1435. 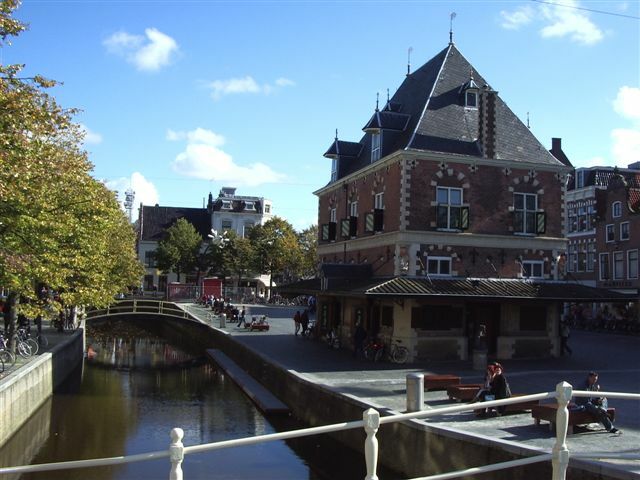 Due to its strategic placement along the Middelzee River, it soon became a popular and busy trade center. However, when the river became clogged with silt in the 15th century, the trade dropped off dramatically. There is a tremendous amount of debate over the actual source and meaning of the name Leeuwarden. Due to the many different dialects and languages in which the name is spelled, its meaning remains somewhat unclear. One historian has noted that there are as many as 200 different spellings of the name. The city of Leeuwarden endured extensive occupation during the Second World War. In a dramatic turn of events, the Royal Canadian Dragoons attacked, defeated, and drove out the Germans while disobeying direct orders to the contrary. In memory of this heroic event, it is said that the Royal Canadian Dragoons still fly the flag of the city in whatever location they are currently stationed. As with so many other cities in this region, WWII also brought with it the deportation and extermination of the Jewish population. Many who were deported never returned and life for the Jewish communities was never the same after the war. The city of Leeuwarden is home to some important activities and structures. The largest cattle market in the Netherlands is located in the city. There is also a flower market held in the city on Ascension Day, which is said to be the largest one in the Netherlands. At one time there were over 130 windmills standing in the city. Today, there is only one surviving windmill. Although there are a couple of other foundations still standing, the Froskepolemolen windmill is the only complete structure left to bear witness to the past. In 2013 the city of Leeuwarden was voted as the European Capital of Culture for the year 2018. This award is given to a city in which various cultural events will be organized, for one calendar year, which have a strong European flavor. Such activities like this can help to boost a cities visibility and economy. Leeuwarden is one of 40 such cities chosen for the honor thus far. Whether your interest is in education, architecture, recreation or just tourism, there is something for everyone here in Leeuwarden. Visit the historic city center and take a ride down one of the canals. You will not be disappointed that you chose to include this charming city on your list of stops. If you arrive to Holland by air to Schiphol airport near Amsterdam you can travel to Leeuwarden by train or bus. You can get the train straight from the Airport, and it will take you about two and a half hours to get to the city. A single ticket to Leeuwarden will cost approximately 28 euros. There are direct IC trains from Schiphol Airport to Leeuwarden once every hour via the Hanzelijn. Another option is to drive yourself there. Hiring a car can be a good option, as Leeuwarden has a lot of other great sites to visit in the neighboring towns. If you are driving from Amsterdam you can either go by the A7 and the A31or you can go via the east by taking the A1, A6 and the A32. Getting around the city usually means taking the bus. The buses in Leeuwarden are operated by, Arriva and Qbuzz. They are very frequent and clean and reliable. The best and easiest way to pay for your travel on the buses is to get an OV-chipcaart. They are about the size of a credit card and can be loaded with credit for your journey at any bus or train station and also at participating hotels and shops. The bus station in Leeuwarden is just behind the train station and can give you details of the services. A good option in Leeuwarden if you want to be taken straight to your destination, or you are travelling late at night, is to take a taxi. The taxi’s in Leeuwarden are very reliable and safe with knowledgeable drivers and modern cars. They charge a standard scale of fares that is the same throughout the country. If you want to just travel quietly through the streets of Leeuwarden a good option is to hire a bicycle. There are many cycle routes and it is cheap and easy to hire bicycles in the town. Leeuwarden is the capital of Friesland if the north of Holland. It is a town filled with ancient monuments and architecture, and is a great place for a quiet and interesting holiday. Although it is situated some way away from the usual tourist haunt of Amsterdam, good travel links make it a very accessible place to visit in a touring holiday of the country. The Dutch ceramic museum is housed in a palace that was built in the 1600’s. Princess Mari-Louise used to live in this beautifully adorned building. There are 7 rooms that are dedicated to ceramics from as far back as the 3rd century BC. There are also collections of Delft and European work. The Oldehove is a an old tower made of bricks. The building was never completed because the marshy ground caused it to subside and take on a definite lean. If you climb the tower you can get a wonderful uninterrupted view of the local countryside. Fries Natuurmuseum is located in a 17th century building and is dedicated to exhibitions centered on the local animals, birds, plants and trees. It has a fascinating display of a ditch, which is much more interesting than it sounds. The exhibition called Friesland under water, shows you the bottom of a ditch in the local area and all of the plants and creatures that live there. It also houses a huge whale skeleton that was discovered in the 1990’s. Leeuwarden is a great town in you are looking for some good shopping. It has over 400 shops and is a great place for not only high street brands, but also some great individual and artisan shops in the little roads and alleyways that are to be found just off of the main shopping area. Indeed the Klein Kerkstraat was voted to be the best shopping street, not only in Friesland, but also in the whole of the Netherlands. If you are looking for something good to eat then Leeuwarden is a great place to be. after a good days shopping, one of the best places to go for a great evening meal is a restaurant called “By Us”. It is run by a local couple and specializes in European cuisine and also has a fine selection of Friesland delicacies. If you would like something more exotic for dinner then Jamuna has a great Indian menu. The restaurant has been established in the town for many years and is a favorite among locals and tourists alike. Although Leeuwarden is a bit further away than the more usual tourist destinations, a bit of effort spent getting there will be well rewarded with an interesting and memorable holiday.